Revelations about the sloppy, arrogant business practices of a nationally known Skagit County retailer with a lethal inventory are stunning. To know that Kesselring Gun Shop had been arming generations with virtually no regulatory oversight, even after grotesque violations were discovered, made Seattle Times reporter Mike Carter’s story all the more shocking. Nearly a decade ago, after more than a half-century in business, the gun shop received its first visit by inspectors with the federal Bureau of Alcohol, Tobacco, Firearms and Explosives (ATF). They discovered that nearly 2,400 assault-style rifles and handguns could not be accounted for. A seemingly incurious ATF did nothing for the next five years. Incredibly, it took a nasty state workers’ compensation claim inside the family-owned business to provide any transparency about the pumping of thousands of lethal weapons into society. The gun shop failed to have buyers provide key information on purchase forms. Instant background checks were not documented. Guns were sold to non-Washington residents. Multiple handgun sales to one person were not documented in a half-dozen cases. The company surrendered its license last October. That leaves Washington with 1,093 firearms dealers. Posted: 4/29/14 at 8:29 AM under News Story. Yes, FFL dealers need to follow the law. Now, based on this story and the length of time covered. it is not clear if there was a real problem or just a few paperwork issues. 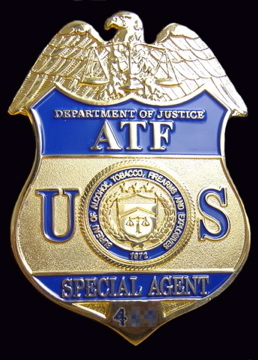 During ATF inspections very minor issues like a missing zip code or an error on the FFL number of the source of the weapon will result in a violation. So, this article does not really do anything but yell the “sky is falling” without any evidence to support the claim. Is this a spoof piece? There is no way you’re suggesting the BATF is qualified to keep track of firearms, given their very public and costly failures. I’ve been in the gun business a long time, and I’ve trained countless people to navigate the even changing paperwork the ATF demands we do, but often don’t fully understand themselves. The missing info listed in this story are very minor issues. Many times it’s nothing more than a customer with an out of date DL or not writing out their full name on the form. These are all “violations” to the BATF and allow them to torment gun shop owners and employees for political reasons. There is zero proof that the paper work fails to indicate who received the firearms, if there was even a shred this would have been a national story. The fact that it is prooves there is no meat to this. A the peace this out of control government is going a BATF like agency to over see and regulate the media isn’t out of the question. Given the media’s terrible track record it would be pretty interesting if someone sifted through your work looking for errors.